Here are some more photos from my friend’s pregnancy photo shoot. I love using props in my photographs and my favourite things at the moment are letters. I have several types of wooden alphabet blocks and I also have the colourful magnetic letters. 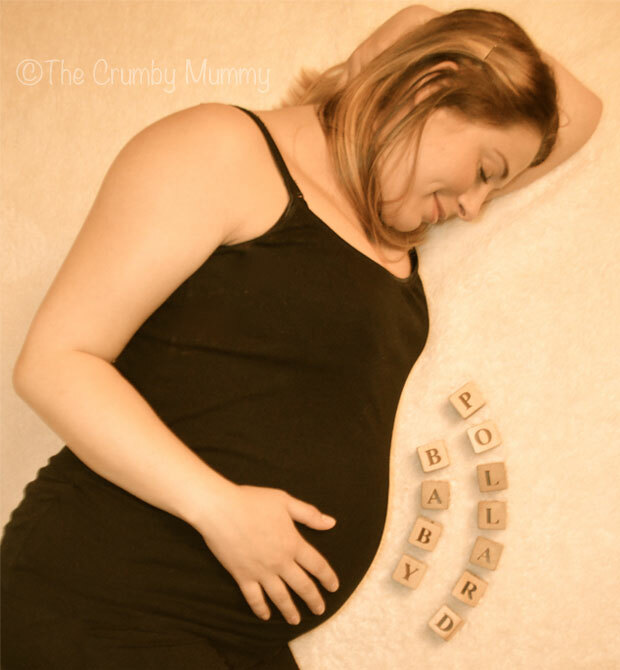 We used some of my wooden blocks in the photo shoot and had lots of fun! We played around with names, including my friends nickname whilst she was pregnant. Then things took a turn for the silly. Whilst I was setting up this shot and randomly arranging the letters, our friend asked, ‘What are you spelling, WAY OUT?’ We thought this was hilarious so we had to do it! I love this photo! I think it should be on a greetings card as, every time I see it, it makes me chuckle! Click here to see the colour splash photos from this photo shoot. Looks like brilliant fun and the finished photos are awesome!! What a brilliant keepsake for your friend, you need to become a professional so that I can call you if ever I have any photo needs! !